“Games, you remember, go by a kind of immutable rotation – as much a law of childhood as gravitation of the universe. Marbles belong to spring, to the first weeks after the frost is out of the ground. 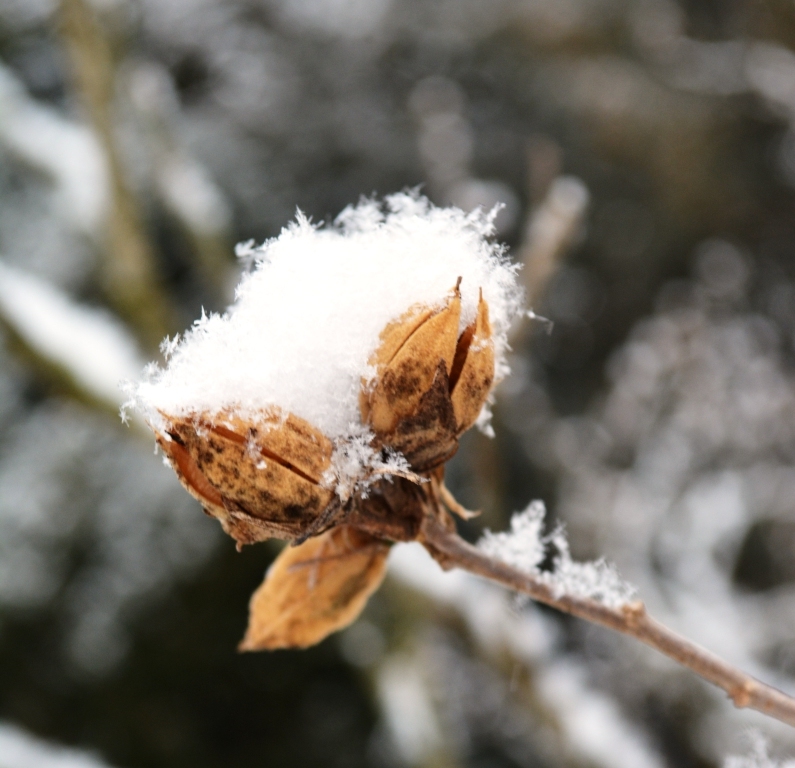 They are a kind of celebration of the season, of the return to bare earth. Tops belong to autumn, hockey to the ice, base-ball to the spring and summer, football to the cold, snappy fall. … If you played ‘em out of time, they didn’t seem right; there was no zest to them.” ~ Walter Prichard Eaton in Scribner’s, 1911. There wasn’t much snow in Central Virginia yesterday. Just a splatter. Or, maybe someone just emptied a bag of cotton balls out in the yard. You can’t do much with a snow like that. By noon it was gone. Time to get on with spring. Some people argue that baseball season goes on too long, that games are too long, that everything should just be shortened up, speeded up, and wrapped up quickly. They are wrong. Who wants more baseball-less winter? 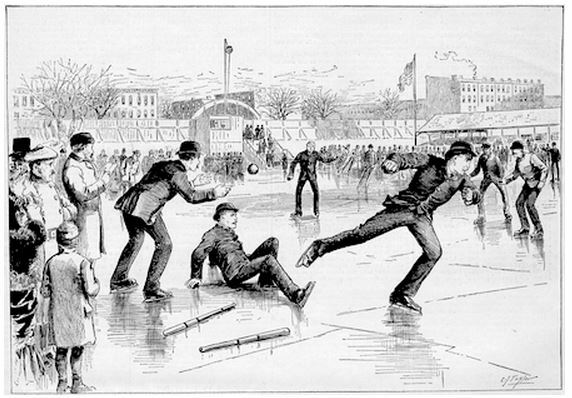 In the 1860s, “Ice Base-Ball” was invented to keep the season going longer. A few teams in Brooklyn – and later in Chicago and Philadelphia – gave it a go and you can find reports of it through the early 1880s or so. Some games had 15,000 fans out in the cold watching players skate around the bases. The Mutuals lost, although the reporter neglected to give a final score. Just 21 days until pitchers and catchers report to warm places where the only ice is in drinks and wrapped around sore muscles. In the meantime, here’s a hardy women’s team in Toronto playing baseball on ice in 1924. This entry was posted in Baseball, Baseball History, Life and tagged 19th Century Baseball, Baseball on Ice, snow, Winter by Jackie, The Baseball Bloggess. Bookmark the permalink. Who knew?! Our first Rockies game with the kids was in the bleachers of left field, in the snow. Purchased a Rockies blanket – that thing has worn like iron – still good after 15 years! Game was canceled, the snow accumulated to something like 8 inches – that ‘game’ they remember! No – but we waited an hour in the falling snow! Looks like the perfect next addition to the Winter Olympics! No reason to add the [sic], that was the standard way of saying inning then. It came from cricket. Yes, you’re correct about the link to cricket, but the “sic” in the quote is actually appropriate here — it doesn’t mean that “innings” was wrong at the time it was written, simply that it appears odd or could appear to be a typo when read in the present day. Thanks for reading!